A few years ago, Brigham Young University (BYU) started a massive effort to replace the existing API management systems with a more modern, standard, and efficient solution. WSO2 products such as WSO2 API Manager and WSO2 Identity Server are at the core of this new solution. They expected to improve consumer experience and minimize the impact on existing development work. Along the way, they hit a few roadblocks including problems such as integrating with legacy systems, improving API discoverability changing authentication mechanisms, and re-designing API development and deployment processes. This session will explore how they overcame these roadblocks by using the WSO2 products. WSO2Con USA 2017: Implementing a Modern API Management Solution that Benefits Producers and Consumers from WSO2 Inc.
Brayden is a Software Engineer working in Higher Ed at Brigham Young University (BYU) in Provo Utah. He is an avid developer with a passion for open source software. Brayden is passionate about creating software that makes the lives of developers easier and better. 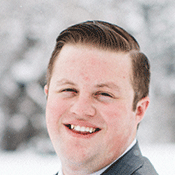 He is currently the lead engineer of BYU’s new API management solution which uses WSO2 products at its core. The migration from BYU’s old API Manager to this new solution has presented some interesting roadblocks as well as produced some amazing benefits for BYU’s software. Brayden’s daily workload revolves around making API management better for both the consumers and the producers of APIs, and he is driven to making this new API-centric strategy a win for everyone involved. He believes that both API developers and consumers should experience their first “wow” moment as quickly as possible when it comes to API management.